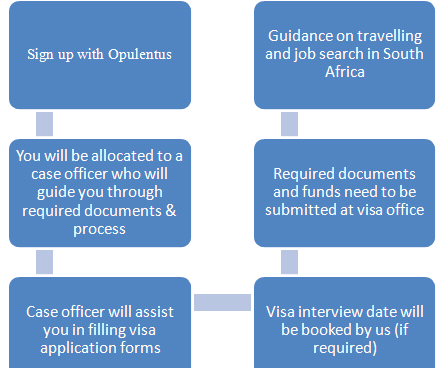 The South Africa Job Seeker Visa Evaluation Report is produced after complete assessment of your profile as per South African immigration guidelines. Visa processing time is in total discretion of South African embassy. The Prices are standard across all our offices. We guarantee that other than offers & promotions, you will not be quoted a higher price & eventually pay a lower price. Prices are determined by the company & set for all clients, all offices & all cases. You know you are paying the right price – the same as all our 10000+ clients around the world.